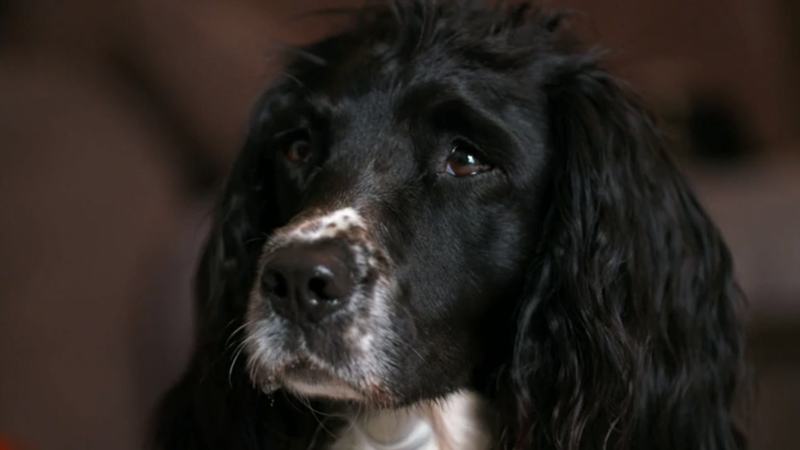 Prior to her visit to Fitzpatrick Referrals, Sophie had undergone three failed operations to treat a dislocating right knee cap – including a TPLO operation on a cruciate ligament rupture. Sadly Sophie had failed to respond to treatment and her wobbly knee was causing her so much pain that she could no longer play with her sisters, and enjoy life to the full. An emotional Jo was beginning to lose hope – she had sought treatment and was sticking to strict physiotherapy and hydrotherapy routines. To make matters worse, her left knee was also in the early stages of deterioration. In a final attempt to ease Sophie’s pain, she travelled 400 miles from Cheshire to Surrey to seek the advice of Professor Noel Fitzpatrick. After reviewing her x-rays and medical history from her local vet, Noel undertook an initial examination of Sophie. It was worse news than Jo was expecting – not only were Sophie’s knees deteriorating, her elbows were too. Both elbows were showing signs of osteoarthritis and the right elbow was much worse than the left. Thankfully, her left knee was fairly static and at that point, needed no treatment. Her right knee, on the other hand, was slipping in both directions – medically termed as medial and lateral patellar luxation. To decipher the issues with Sophie’s elbows, Noel decided to undertake an arthroscopy in both elbows. He immediately noticed that the bone in both elbows had no cartilage and the ulna bones were beginning to rub against the humerus bones. By cutting back on both ulna bones, Noel managed to free more space and prevent further rubbing. With the elbows treated, Noel now needed to focus on Sophie’s right knee. Whilst Jo had explored many options to treat Sophie’s knee (including TPLO), she hadn’t yet explored the idea of a custom-made implant. With Noel’s advice, they decided to go down the route of placing artificial ridges into the knee – to prevent it from sliding out in both directions. It would take a couple of weeks for the custom-made implant to be developed, so Sophie returned to Cheshire to recover from her elbow operation ahead of major knee surgery. 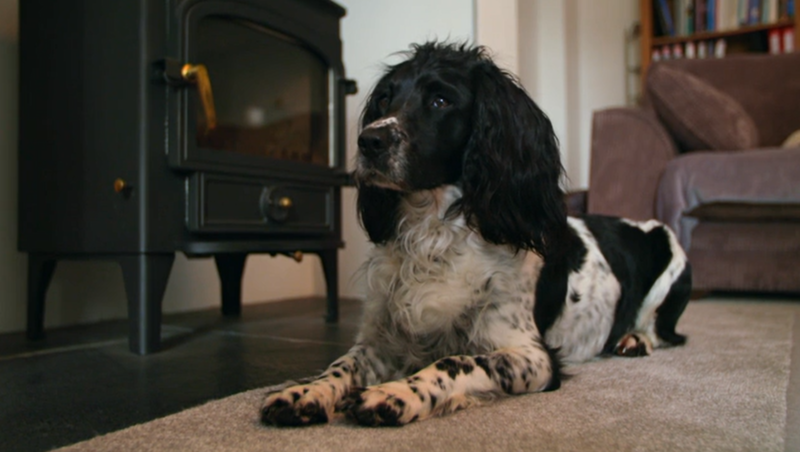 Sophie returned a few weeks later for the operation and Jo was devastated to leave her once again but wanted the best quality of life for her beloved companion, and wanted to explore every option possible to treat her knee. Noel began the operation by preparing the knee joint for the new custom implant. He did this by removing the cartilage from her old worn groove and used a sample of Sophie’s bone graft to create a bed for the new implant to be positioned into. He successfully fixed in the new implant and Sophie was taken to the wards to recover. 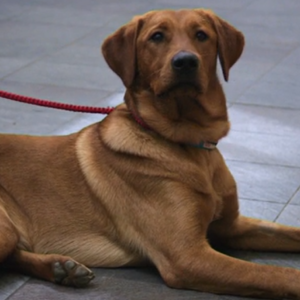 Three days after the operation, Jo returned to Surrey to collect Sophie and immediately noticed the difference in her behaviour. She was walking with much more ease and with steady rehabilitation, would be on the road to full recovery. I know some people don’t understand the bond between people and dogs but for me it’s a very profound bond. Sophie’s final check-up proved testament to Jo’s hard work at rehabilitating her back to full health. Jo had even cut her working hours in half to focus her love and attention on Sophie’s rehabilitation – with hours of focussed physiotherapy every day. The hard work paid off and Sophie gradually got her energy back. Jo was overwhelmed to finally have her Spaniel back and playing with her sisters once again.